Did you know that there is a current movement happening where people are deliberately choosing to move into tiny homes? These homes can be permanent residences on a concrete foundation or built on wheels for flexibility. Companies are popping up throughout the country specializing in tiny homes and the Tiny House Blog has a great following of individuals looking for new ideas and inspiration. When we bought our property on Decatur Island in 1990, we cleared a small area in the 100 year old orchard and set up a couple of tents around a fire pit and that was our “home” base for the first summer. 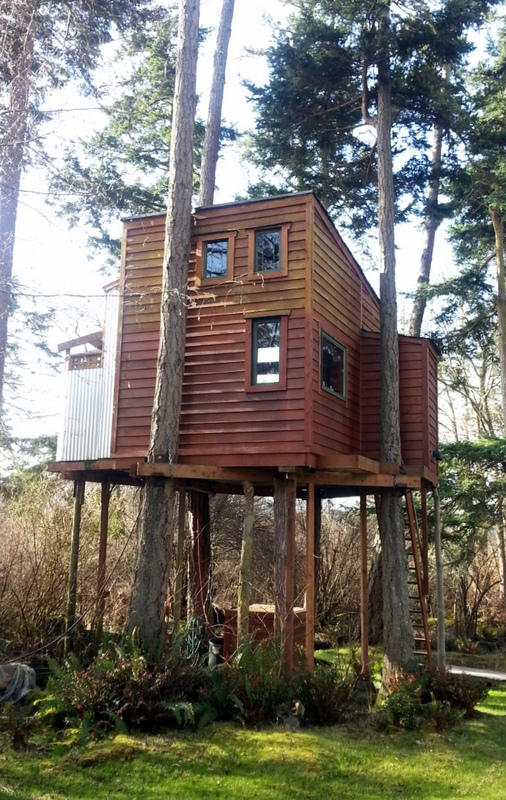 We quickly realized that we wanted to be able to come to our property year-round so we built a small 6×10 redwood shed and fitted it out with a double bed, three bunks and an antique wood-fired trash burner that served as a cooking surface and heat source. The redwood shed is now used for storage but I can see it out of my kitchen window and smile at all the memories it contains. In the islands, tiny houses are a wonderful option for affordable vacation “getaways” or year-round homes. Designs are available for kits and pre-built cottages that are 120 to 700 square feet and most tiny homes can be built for $15,000 to $50,000. San Juan County offers an “owner builder” permit option for structures less than 1000 square feet. Exciting projects are being developed by Tumbleweed Tiny House Company and Frontier Fortress out of Wyoming. 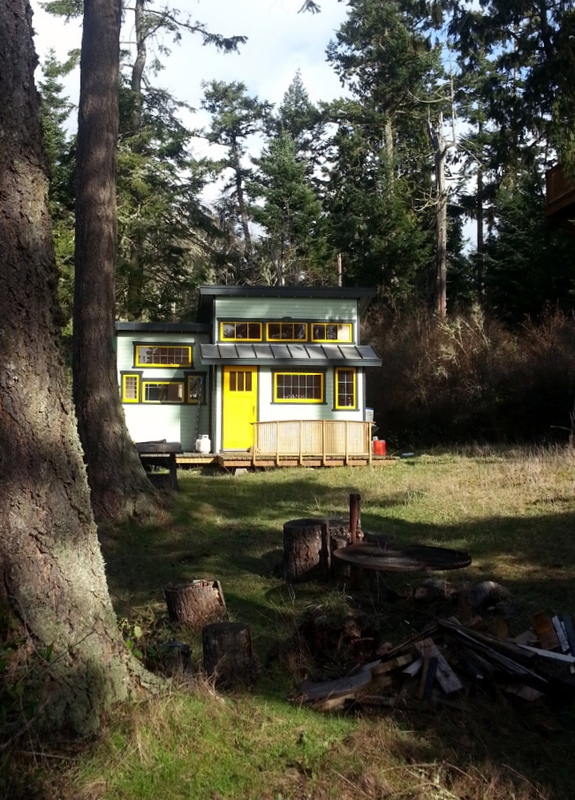 Why do people want a “tiny home”?